Leicester Tigers will host Exeter Chiefs on Sunday evening in Round 18 of the English Premiership. It has been a season to forget so far for the Tigers, who are sitting in the 10th position in the standings, just 5 points above the last place, which sends into the RFU Championship. Despite having a lot of top class talent in the team, the Tigers have just not been clicking this season, at any point really – winning only 6 games out of 17. What`s worse, they are on a terrible run of form, with 7 losses in the last 8 matches in all competitions, so this looks like it could be a long end of the season for them. The Chiefs are playing some exceptional rugby right now, as they managed to book playoff qualification with 5 rounds to go – topping the league with 14 wins in 17 matches! Exeter will come into this match on a 4 game winning streak, and it looks like nobody can stop them right now. They will face the challenge of remaining focused despite claiming mathematical qualification for the playoffs, but they still want to secure a home semifinal. Bet on Leicester vs Exeter and get a 100% (120 Eur) welcome bonus at LSbet now! Sione Kalamafoni, Ben Youngs and Jonah Holmes will be important missings for Leicester, but they get mack Matt Tomua and Mike Fitzgerald. Exeter will be without Jonny Hill, Mitch Lees, Gareth Steenson and Sam Skinner, but England International Ben Moon will be a welcome return to the bench. Talent is definitely not lacking in this Leicester side, but that has never been their problem. The team just looks disjointed and it`s not clicking for some reason. Their form is abysmal lately. This looks just like the kind of opponent Exeter eats alive. The Chiefs are a well oiled machine with seemingly unbreakable chemistry, and facing an ill organized adversary seems like a good matchup. Maybe it`s no fluke that earlier this season Exeter defeated Leicester 40-6 at home. Of course, winning on the road is never easy in the Premiership, and Leicester is starting to get desperate to avoid relegation. Motivation seems to be in their favor with Exeter already qualified for the playoffs, but the visitors want to keep their form going. More importantly, they want to secure a home semifinal and also win the regular season. Director of Rugby Rob Baxter all but assured fans that Exeter will not let their guard drop at all for the final 5 games of the season. Leicester has 5 wins and 3 losses at home, while Exeter has 6 wins and 3 losses away. The visitors has the form and the tools to win here. Expect them to be the better disciplined side and make less errors, which should eventually decide the outcome. All in all, it`s just hard to see Exeter losing against a disorganized team, even away from home (it has to be said that Exeter traditionally struggled at this ground). My tip will be Exeter to win. Most bookies have odds above 1.40 for Exeter. Anything below that I wouldn`t take, as it would be too low in my eyes. 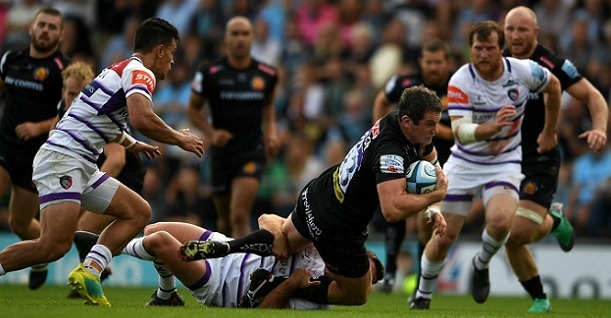 Prediction: Leicester Tigers – Exeter Chiefs 18 – 26.